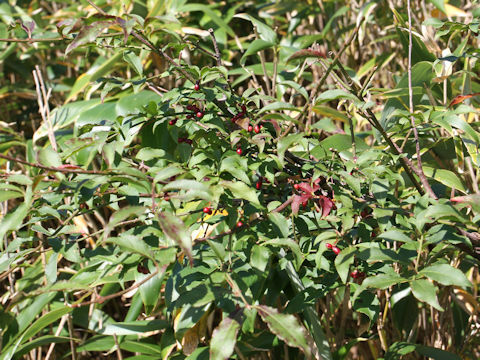 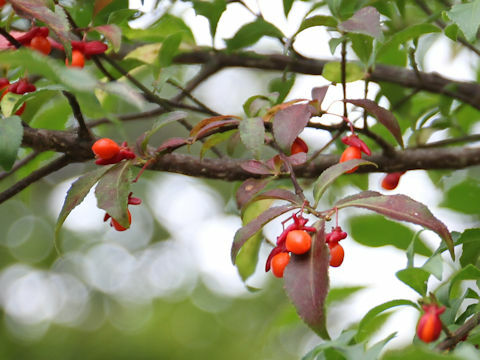 "Ko-mayumi" (Euonymus alatus f. striatus) belongs to the Celastraceae (the Bittersweet family). 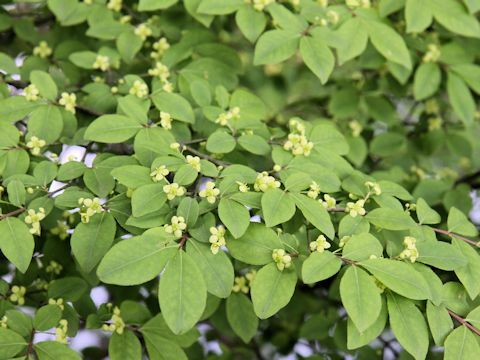 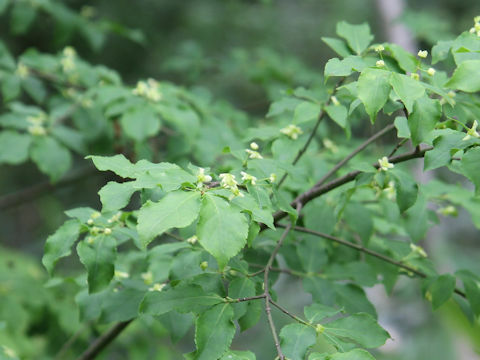 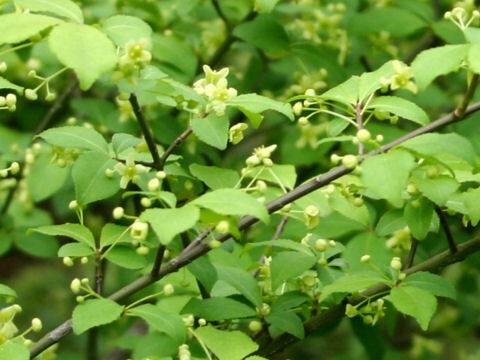 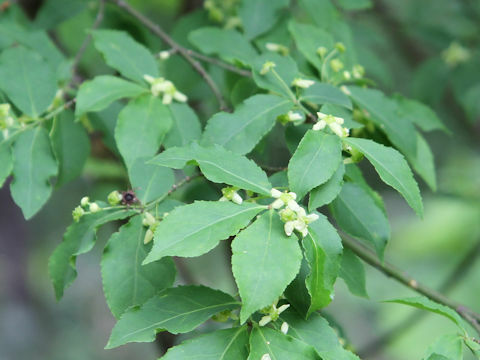 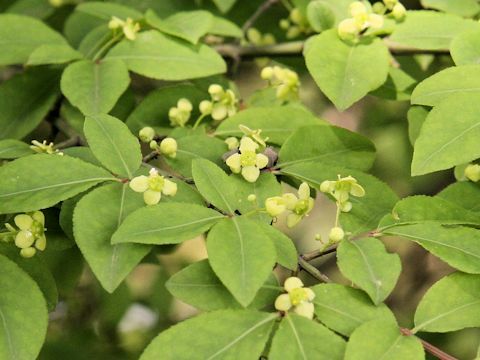 It is a small deciduous tree that is native to Japan, the Korean Peninsula, northeast China, Sakhalin and Ussuri. 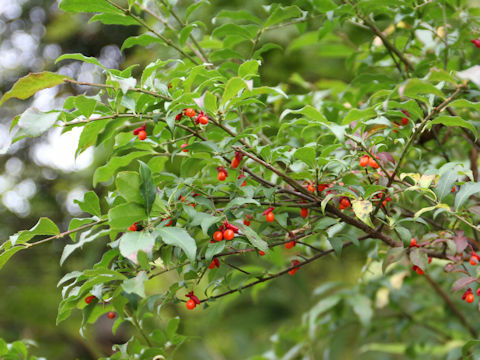 This tree grows in hills and dales, and can reach 2-5 m in height. 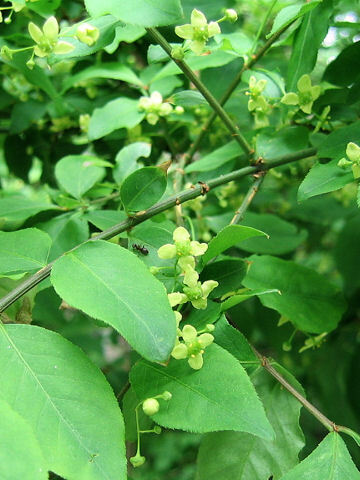 It is a form of the Burningbush, and defined by having no cork wings. 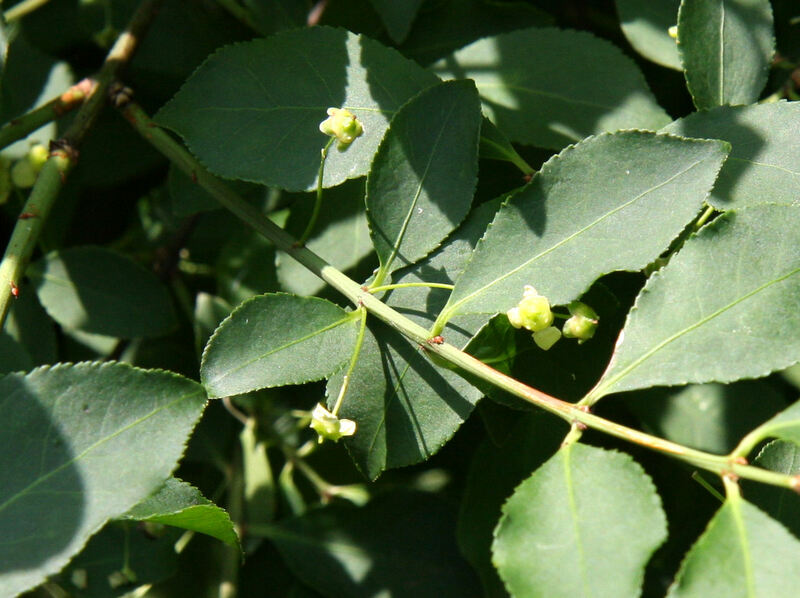 The leaves are elliptic and opposite. 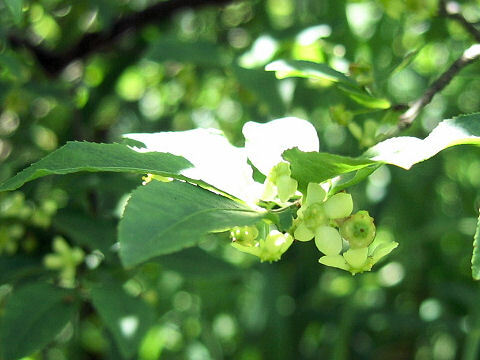 The inconspicuous pale yellowish-green flowers bloom from May to June. 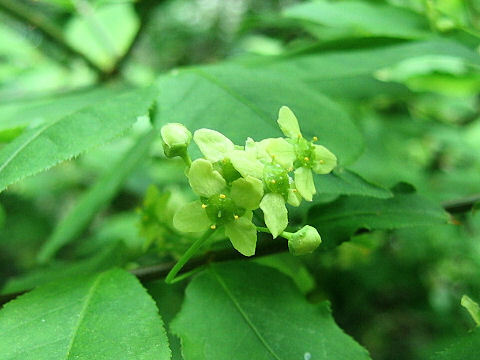 The corolla has a developed flower disk. 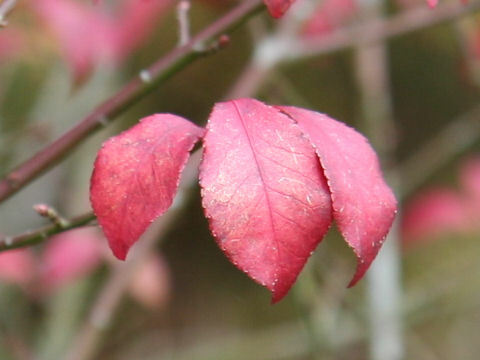 The leaves turn bright red in fall. 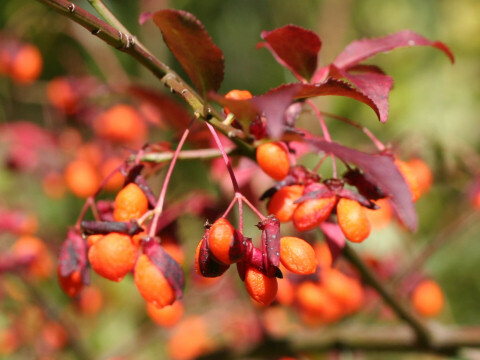 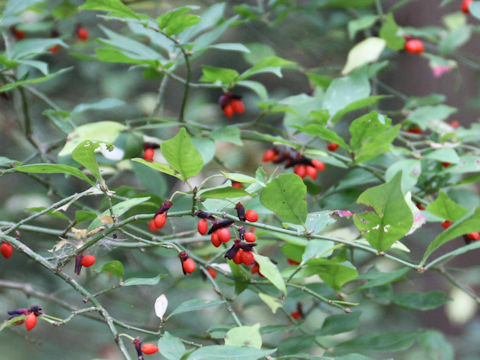 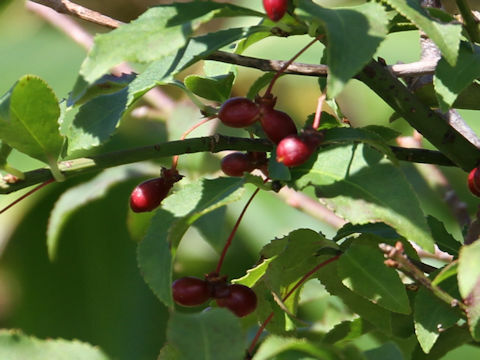 The capsules are ripen in fall, splitting open and come out reddish-orange seeds when mature.